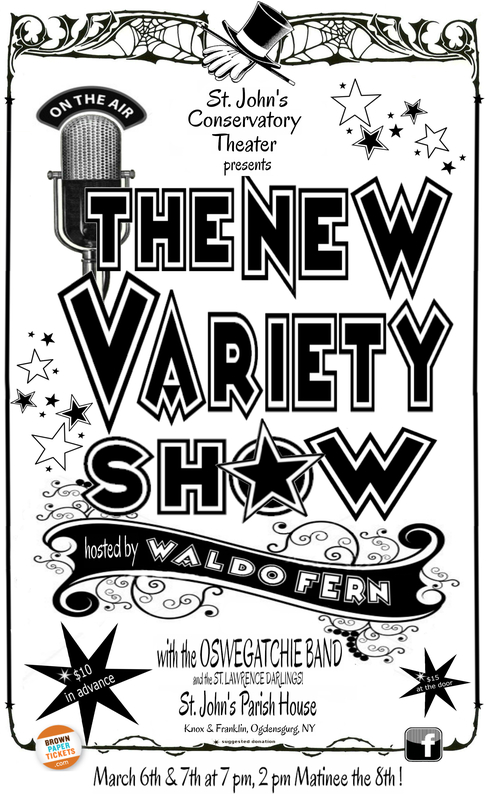 St. John’s Conservatory Theater (JCT) is most proud to present their musical comedy spoof on the great radio variety shows of the 1940s titled THE NEW VARIETY SHOW. Rehearsals begin in February and the musical plays one weekend only, March 6-8, 2014 at the St. John’s Parish House in Ogdensburg, NY. 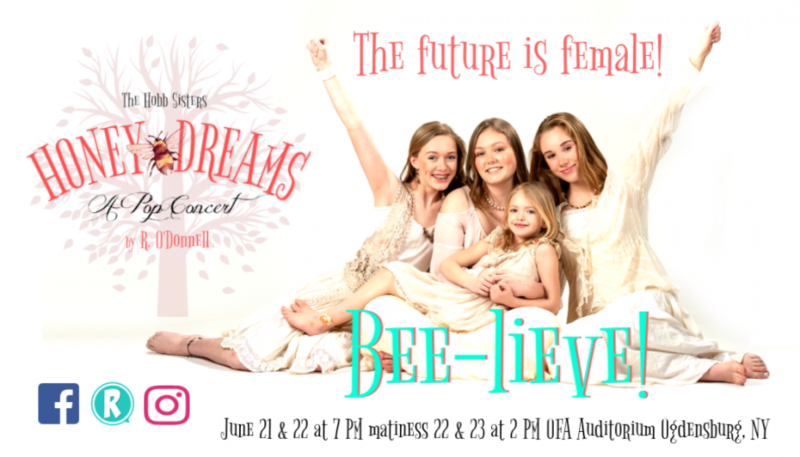 Local talent from Ogdensburg, Heuvelton, Canton, and Gouverneur make up the cast with Cole Siebels, Hailey Weber, Dee Bellinger, Anton Skamperle, Jillian LeBel, Hailee Joanette, Myah Myers, and Payten Walsh as the St. Lawrence Darlings (Think Mickey Mouse Club). Also starring Ryan Woodard as Elmer Fiddle and the Faddles, Ryan C. McNally as Max Windell and his Wandering Sax, Allexa Hooper as Loretta Ray, Taylor Morrill as Bobby Starbrite, Christopher Dwyer and Angela Conzone Dwyer as the big apple sweethearts Peggy and Perry Page, Stephen Chambers as Father O’Maley, Joel Burke as announcer Phil Wilson, and R O’Donnell as your wacky host Waldo Fern. Brought to you by Crispy Crunchy, the all-American breakfast cereal with the crispy crunchy taste, THE NEW VARIETY SHOW presents a cavalcade of North American talent along with the St. Lawrence Darlings and backed by the sound-styling’s of the Oswegatchie Band. Written and directed by R O’Donnell, featuring some of the greatest hits of the era, THE NEW VARIETY SHOW contains musical direction and vocal arrangements by Angela Conzone Dwyer, additional orchestrations by Ryan C. McNally, set and prop designs by Stephen Chambers, technical direction by Christopher Dwyer, and costumes and makeup by Ann Losurdo. Showtime’s are the first weekend in March, Friday and Saturday at 7 p.m. and Sunday matinee the 8th at 2 p.m. while tickets cost $15 at the door (suggested donation), or $10 at newvarietyshow.brownpapertickets.com. JCT is located on the second floor of St. John’s Parish House, behind St. Johns Episcopal Church on the corner of Franklin and Knox streets in Ogdensburg. Handicap parking is available off Franklin, and the theater is fully accessible. This entry was posted in in the news and tagged humor, musical, radio, spoof, theatre. Bookmark the permalink.